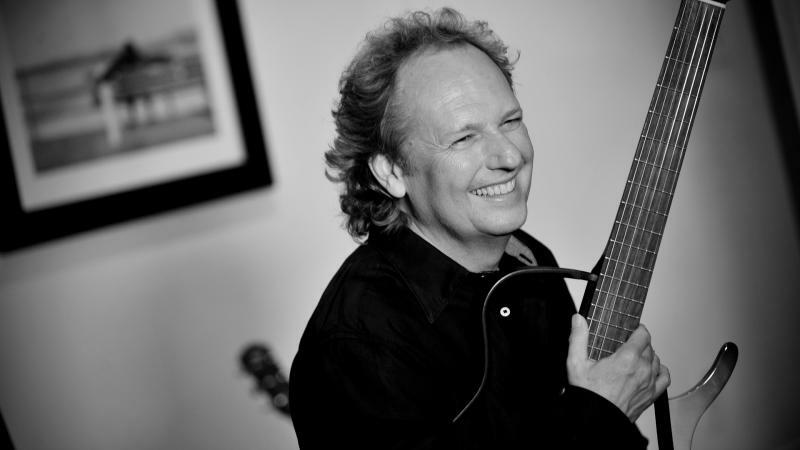 Lee Ritenour is a musical talent who approaches jazz as an artist does a canvas. He takes time to explore colorful arrangements within each song he records mixing various degrees of fusion, rock, blues, and funk based on the feel of the song. Ritenour has become a master of his own style in creating music that reflects the story of each song he performs through the instrument of the guitar. He has an innate passion to create message music that ebbs and flows on the wave of the instrumental melody. In a subtle way, he has found his own way to make the guitar sing. As a professional song writer and contemporary guitarist, Ritenour is a romantic at heart. He makes it a point to go beneath the surface of the beginning of an improvisation where he finds emotion in the motion. He is comfortable in his translation of poignant insight from his creative flow through the guitar. In his studio sessions, he finds inspiration in breaking barriers and connecting styles through mixing guitar effects that have become signature to his unique style of playing. A Twist of Rit (Concord Music, 2015) is more than an official record release. This particular project represents a collection of songs compiled through thoughtful reflection and inventive collaborations with friends and peers. In this project, Ritenour has discovered a refreshing way to reinvent previously released songs mixed with new songs making it all fresh and vibrant in today's music scene. A Twist of Rit is message music without the use of words. 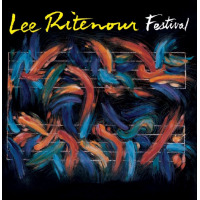 The arrangements throughout the project are exemplary of Ritenour's art of improvisation. Each song represents a personal conversation with Ritenour in the key of life where he shares aspects about his daydreams, perspectives and personal identity. The overall project is exemplary of a polished compilation of his favorite songs performed with some of his closest colleagues on the roster. 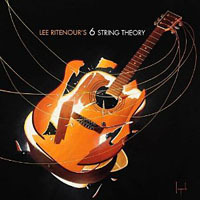 In the planning of this CD from start to finish, Ritenour went into a personal, creative space and conceptualized the idea of combining new tracks along with a few previously released records that he re-recorded with a band made up of his closest colleagues resulting in a Twist of Rit, (Concord Music Group, 2015). 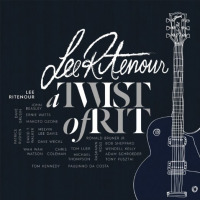 It is interesting to note that Ritenour has released several cd's titled "A Twist of, "one honoring Antonio Carlos Jobim, another honoring Bob Marley and a third project honoring Motown. The collection of songs on this new "Twist" project embody a potpourri of artistic collaborations with features from an array of talent including John Beasley, Dave Grusin, Paulinho DaCosta, Wah Wah Watson and Patrice Rushen. 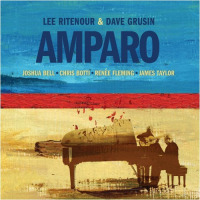 The resulting CD release exemplifies a unique blend of all-star talent fused into a compressed wave of modern smooth jazz, funk and jazz fusion. "Ooh Yeah" is a remake of the original track released from Ritenour's album, This is Love. Ritenour combines neo-soul and smooth jazz fusion in a rich, rhythmic foundation that stands as a musical experience that can be compared to a cup of soulful jazz. His use of octaves in select areas of the song accent the emotional depth of this track while acknowledging the style of one of his mentors, Wes Montgomery. "Ooh Yeah" flows with solid modern arrangements that build with emotional zest, energy and personality. Ritenour's expressive octave runs break out a jam in his solo section that grooves in the cut creating the foundation of the layered melodies and harmonies that carry this delightful track from start to finish. On "Sweet Syncopation," Ritenour immerses the listener into progressive guitar riffs as he explores improvisational moments surrounded by a Tower of Power vibe in sound that solidifies this track as bringing '70's R&B and jazz forward with a modern flavor in its arrangements. Ritenour explores the use of guitar effects in just the right areas on this track. The rich tone of his melodic leads on the guitar ride upon the funky foundation of soaring trumpet runs and bass riffs building the song effortlessly in the evolution of the groove. 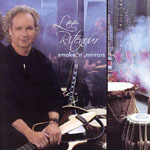 Ritenour delivers a gliding arrangement on the track "Soaring," originally recorded on his previous cd, "Earth Run." "Soaring" is a song that can be listened to riding on an open highway. It is a song that can be enjoyed while watching the sunrise. This song has an unspoken message in its rhythm, tempo and tone that elevates the listener to a cloud space for relaxation and quiet time. 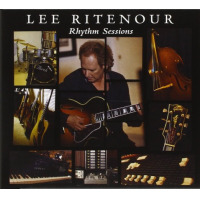 "Soaring" builds in its harmonic progressions like a wave on the ocean rising to new heights of awareness and expression through Ritenour's improvisational moments. This song celebrates all of life's possibilities. It is a thoughtful song perfumed with the celebration of the newness of each moment.